In the tight-knit escrow community, those who excel at their profession are well-known by their peers and beloved by their clients. Such is the case with Gina Malloch, Escrow Officer with CV Escrow. Her reputation for customer service is legendary and has resulted in a loyal legion of clients spanning over 20 years. “I’ve been in the real estate business since the age of 18,” commented Gina. “From the very beginning, I’ve loved every aspect-the multi-tasking, deadlines and most importantly, the people.” Her education in the industry encompasses working with title, hard money lenders as well as escrow companies, making her depth of experience invaluable. “I’ve spent more than half my career in the desert, and we manage a high percentage of properties sold on leased land. These require a unique understanding of local knowledge above and beyond typical escrow transaction complexities. 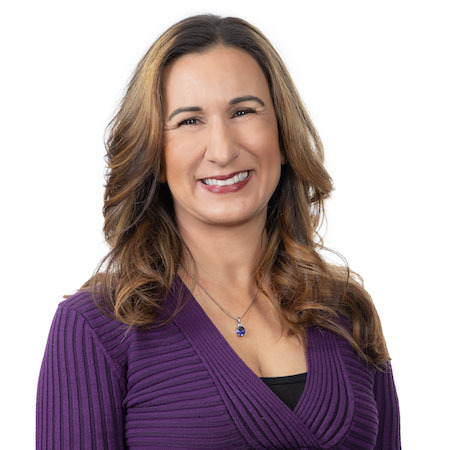 CV Escrow provides me with the support I need to service my clients at the highest level.” Gina also handles residential, commercial, short sales and foreclosure escrows and is a Notary Public. When she’s not working with agents or helping homebuyers, Gina enjoys spending time with her husband and three children.